I went to Scrappy Hour at Green Tangerines last night and wasn't very productive! 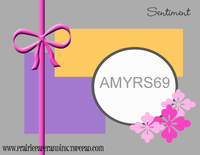 I only finished two cards, including this one for Amy Rysavy's Friday Sketch Challenge. I just got my Swiss Pixies in the mail yesterday and HAD to use one! 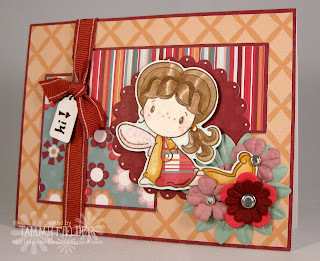 I used Swiss Pixie Gretel on this card, along with the new "Happy Bird-Day" paper from 3 Bugs in a Rug. I cut her dress from designer paper, used Stickles on her wings, and used a tiny orange rhinestone for her hair tie. I'm still coloring with watercolor pencils, but I'm totally craving a set of Copics! Hopefully for my birthday... I'll keep my fingers crossed! Cute! I love the colors you chose and the highlights on her hair! 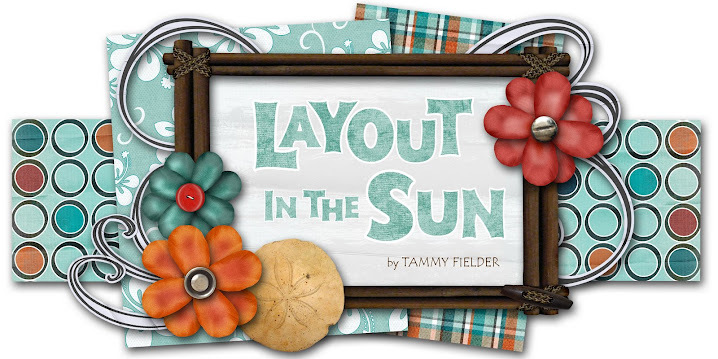 SO cute Tammy! I love her paper-pieced dress! !